From Reddish Knob to North River Trail: From Reddish Knob parking lot, head back down the mountain on the paved road ½ mile. Turn left on gravel road FDR 85. Continue 2.3 miles. Trailhead is on your left. Drive .1 mile to the parking area at the old Shenandoah Mountain Picnic Area (no longer maintained) on your right. Description: Reddish Knob is the highest point on Shenandoah Mountain, and you can actually drive your vehicle on a paved road all the way to the top. The drive offers incredible views to the east across the valley to the Blue Ridge mountains, and to the west far into West Virginia. Once at the top, enjoy expansive views all the way around. From Reddish Knob, you are looking at the most extensive blocks of roadless, wild forest lands in the entire eastern United States. After visiting Reddish Knob, drive south along the ridge to the North River Trail (see directions above). The trail head is on the east side of the road and is marked with a brown metal signpost. This upper portion of this trail may get grown over in late summer; look closely for the trail a few feet south of the signpost. The trail will meander parallel to the road and then descend. After .3 mile you will see a metal pipe trickling forth fresh spring water on the left side of the trail. Continue up and then down the trail another ½ mile. Notice a nice fire ring and camp spot to the left of the trail as you approach the headwater spring for the North River. This is a nice destination for families who like to camp, and play in the spring and creek. If you cross the creek, the trail continues .3 mile to Little Bald Knob Rd. If you turn right and continue walking alongside the creek, you are on North River Trail which descends 4 miles to FDR 95. These trails are open to horses and bikes. Why we like it: Reddish Knob is probably the best-known icon in the entire GWNF. For generations families have been able to drive to the top of Shenandoah Mountain to Reddish Knob and enjoy the astounding views. Originally built for access to a fire tower which no longer exists, the road was paved in the 1980s and remains an adventure in itself as it winds and twists and narrows near the top. 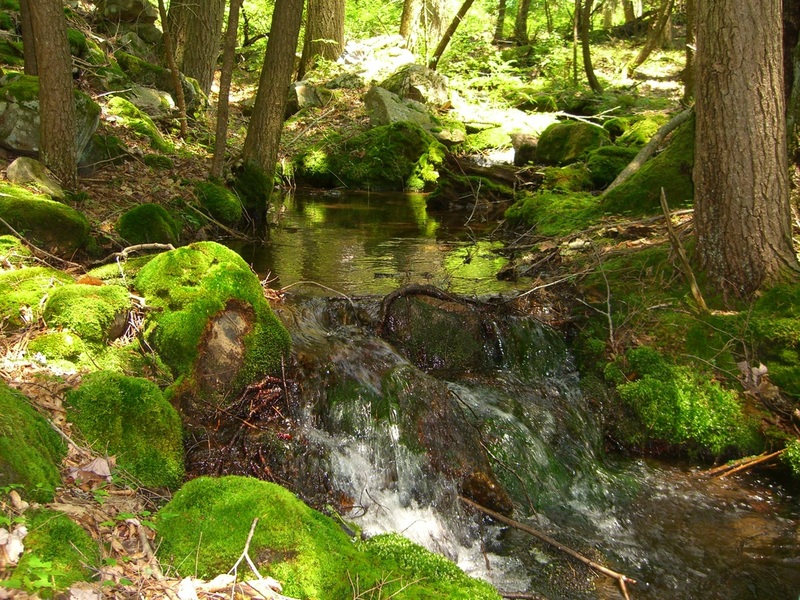 Combine your visit to Reddish Knob with a short hike along North River Trail to see the headwaters of the North River. The trail is easy to walk and a great option for younger kids. It leads to a magical spot, with moss-covered rocks and fresh spring water bubbling forth. There is also a small, old mossy-rock dam, most likely built by the Civilian Conservation Corps in the 1930s. You may notice several large hemlock skeletons here, fallen victim to the wooly adelgid. 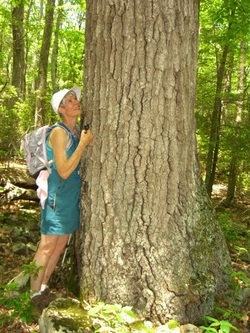 However, there are also many younger hemlocks that appear healthy, and a variety of large oaks. As mentioned, the road to Reddish Knob is narrow and curvy. Drive carefully and use turn-outs to pull over for approaching vehicles. The road from Reddish Knob to North River Trail can be rough with rocks and potholes; again, just use caution. Be alert for salamanders as you walk on the trail and visit the creek; red-spotted newts as well as the rare cow knob salamander and shenandoah mountain salamander may be seen in this area. Please, be gentle with the wildlife and allow them to remain in their habitat. You may notice a trailhead up near the top of Reddish Knob. This is Timber Ridge Trail, which descends all the way down to Tillman Rd. Little Stoney Trail heads west from the old Shen. Mtn. Picnic Area parking lot down the mountain into West Virginia. Consult maps for details on these trails. Expect cooler temperatures and stronger winds on the top of Shenandoah Mountain. We do not recommend a winter outing to this location; roads are not maintained in winter.